Ribbon Cutting for new Thrift Shop! 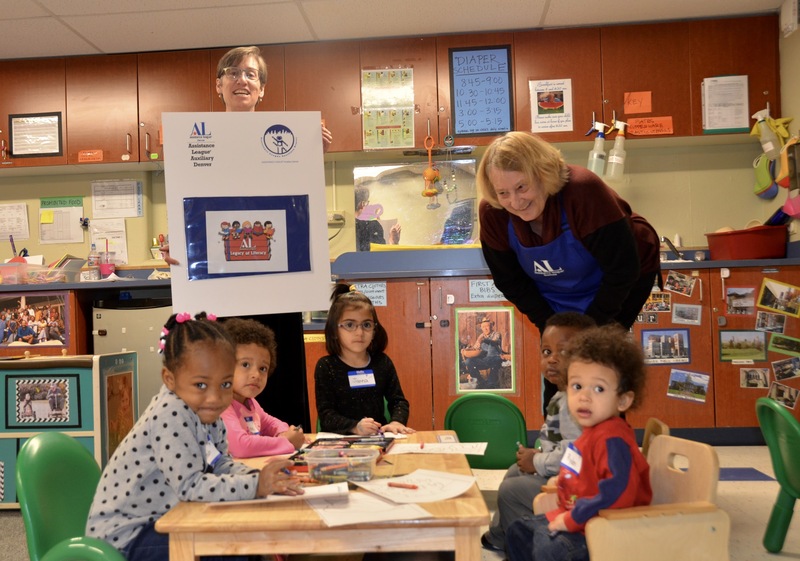 Elementary students, grades K – 5, are invited to visit a retail store who has partnered with Assistance League. 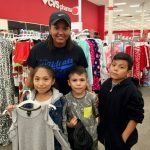 With the help of their “personal shopper” the students may select new clothing, including socks and underwear. 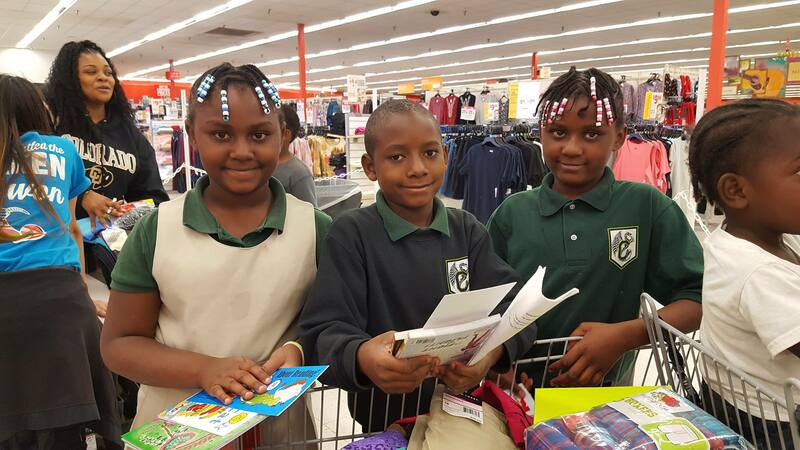 They also receive a shoe voucher, a jacket, a personal care kit, school supplies and at least one new book. Their smiles as they leave are as big as the bags they are carrying! 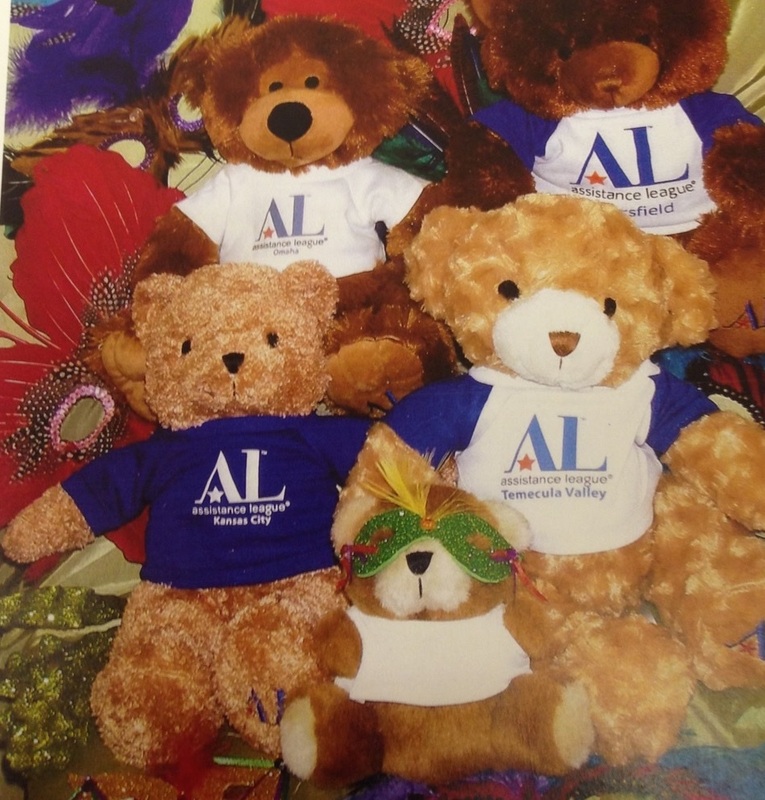 Distributes Teddy Bears to children in crisis. 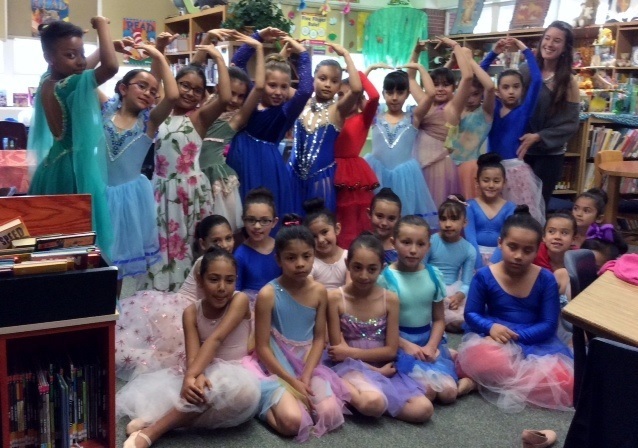 Brings fine art programs including music, dance and theatrical productions to Denver Public School children. 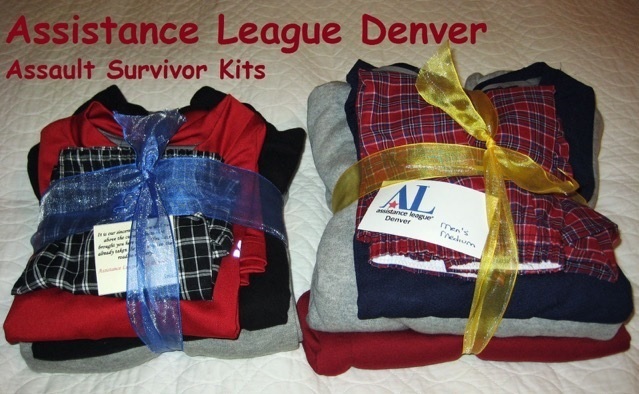 Provides clothing and toiletry items for victims of assault. Meals and activities are provided for senior citizens. 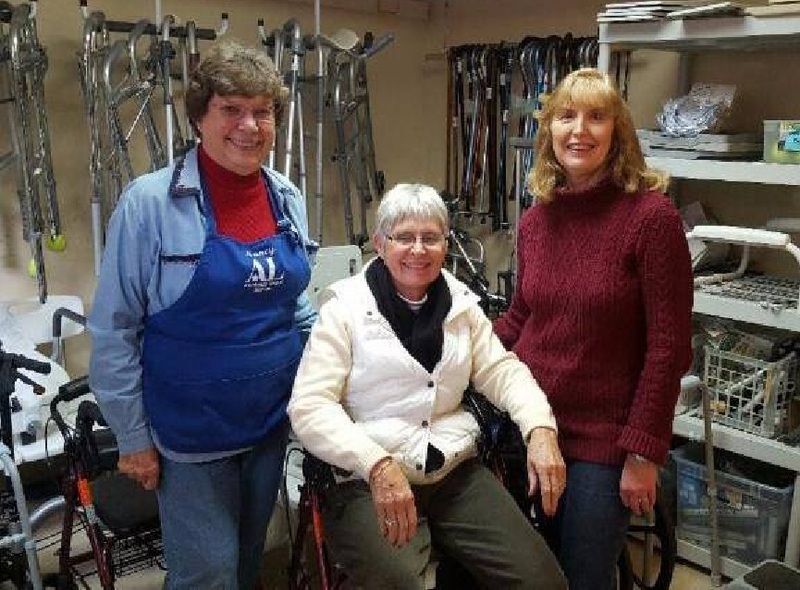 Hospital equipment such as wheelchairs, crutches, etc are loaned free of charge to patients recovering at home after surgery. Patients are referred by physical therapists, doctors, occupational therapists and hospitals. 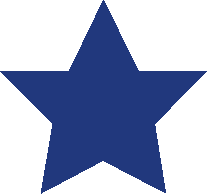 Provides scholarships to students at Community College of Denver, Community College of Aurora and Pickens Technical College. 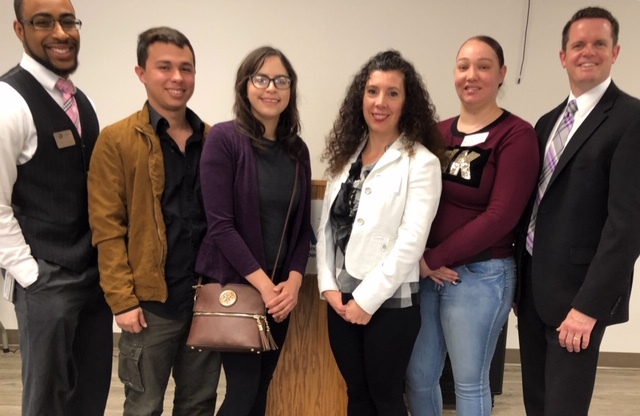 We are proud to announce our 2019 Scholarship recipients! 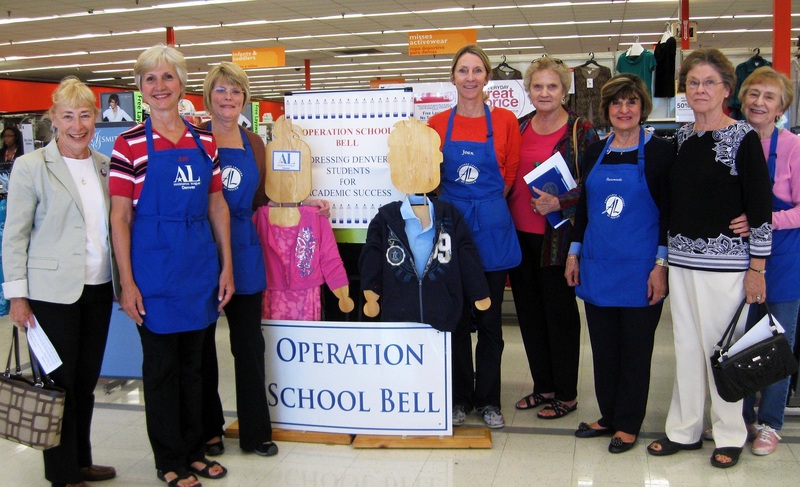 Operation School Bell was a huge success again this year. 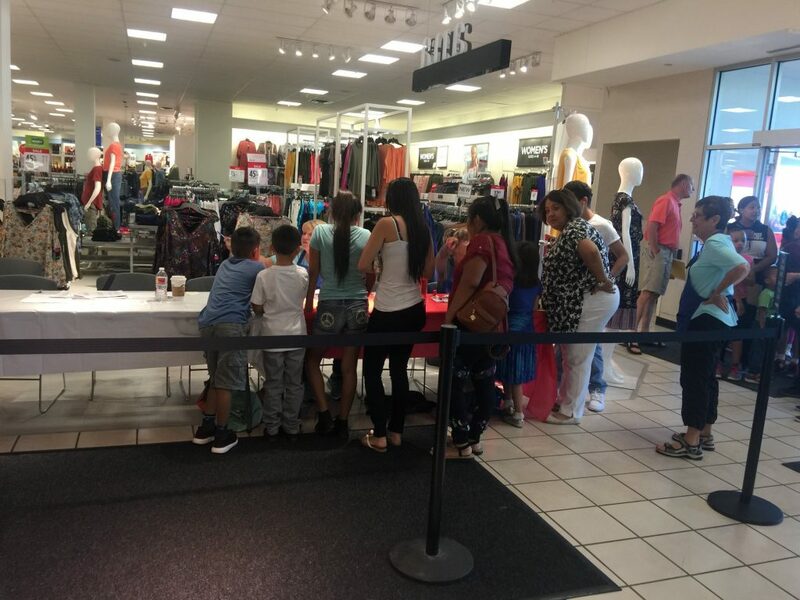 We were able to serve 2,553 students who were given vouchers to shop for school clothes at the Northfield Stapleton J C Penney Store. 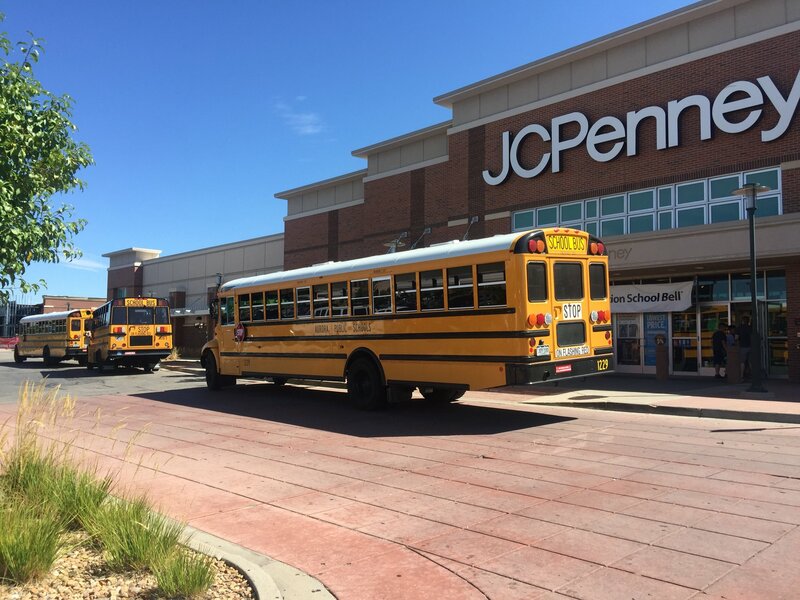 We are grateful for our partnership with J.C. Penney! The H.E.L.P. 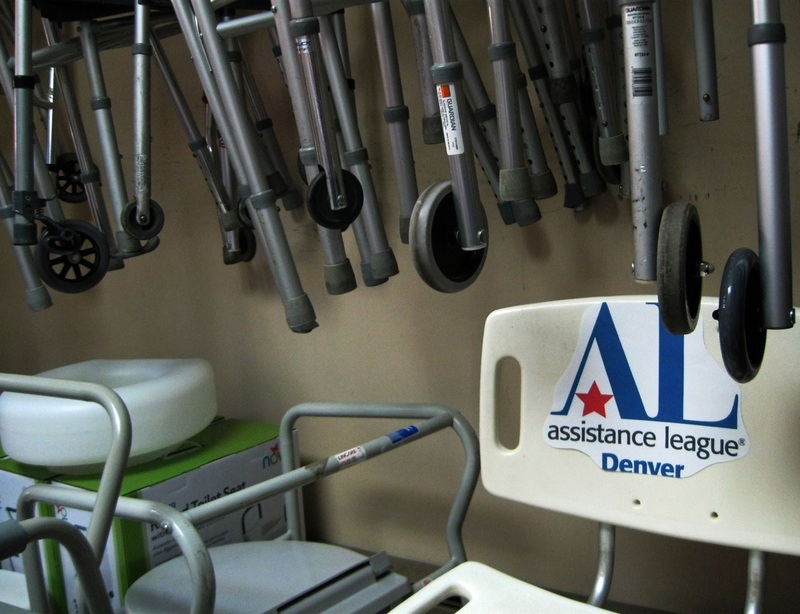 (Hospital Equipment Lending Program) office has moved to 6265 East Evans, Suite 7, Denver, CO 80222. Phone is 303-322-1688. Hours are Tuesday, Wednesday and Thursday 9-1. 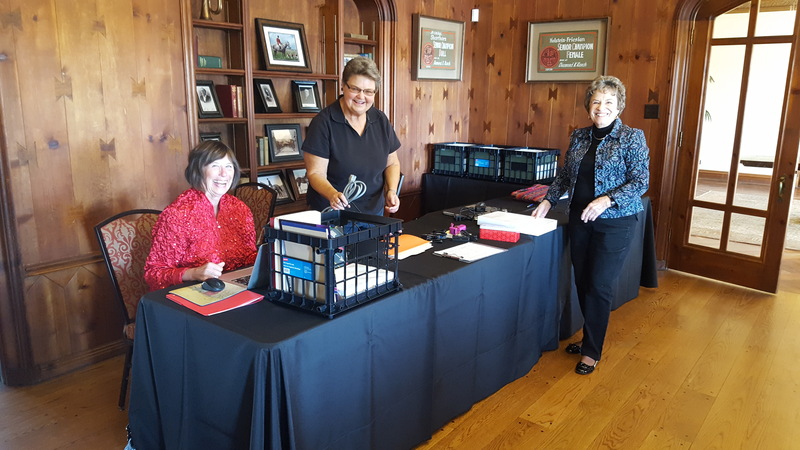 Mayor Hancock has proclaimed July 27th, 2018 Proclamation Day for Assistance League of Denver. 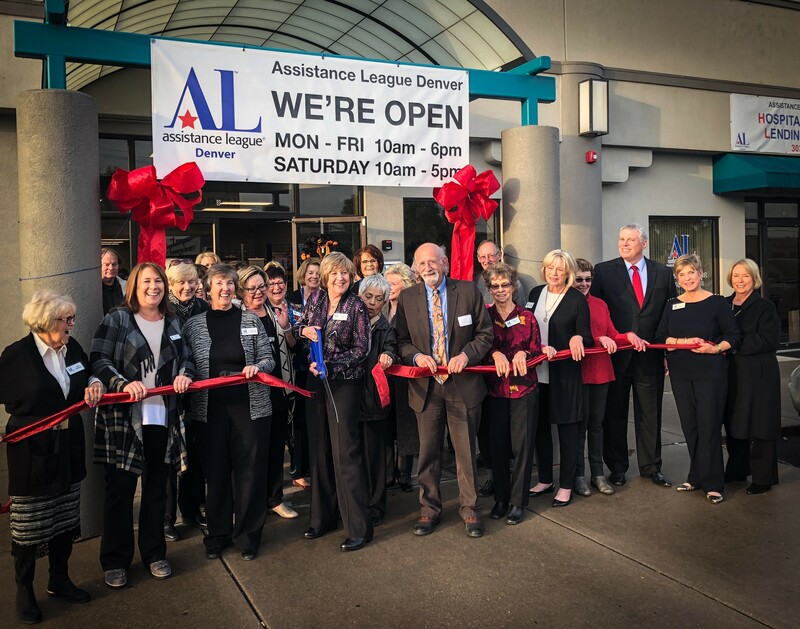 Assistance League Denver opened its new Thrift Shop on July 27th as well. 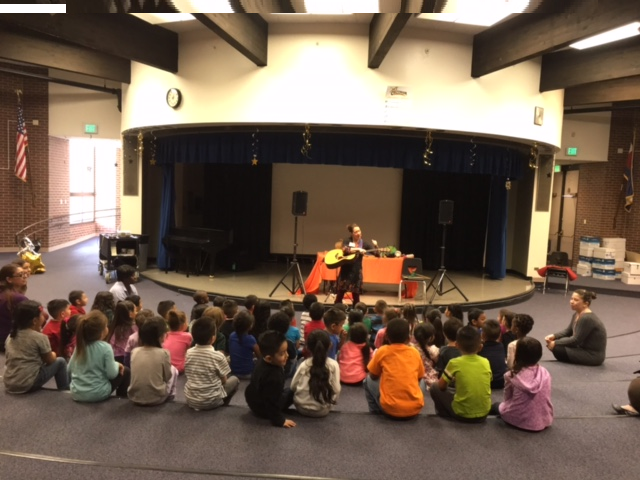 It is at 6265 E. Evans, Suite 8. 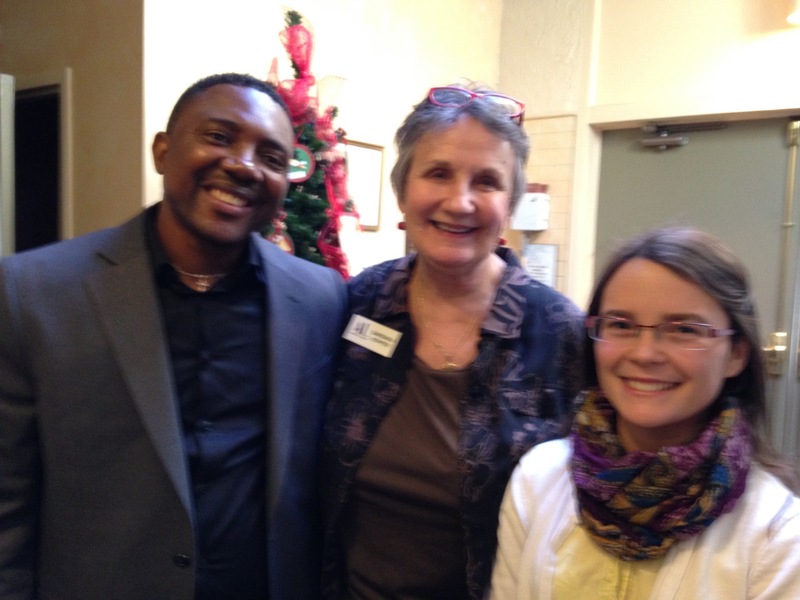 Assistance League of Denver has received a $7,500 Grant from Liberty Media. 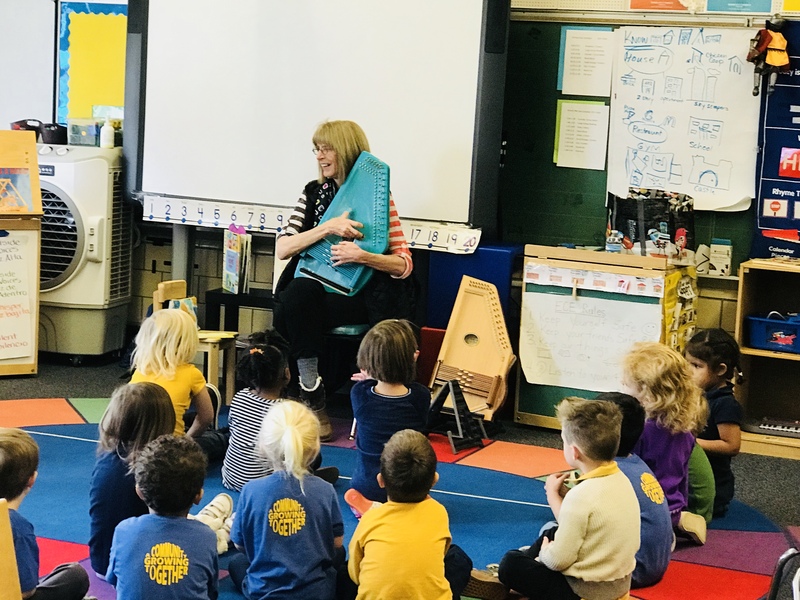 This generous grant will help Assistance League of Denver continue with their signature program, Operation School Bell®. 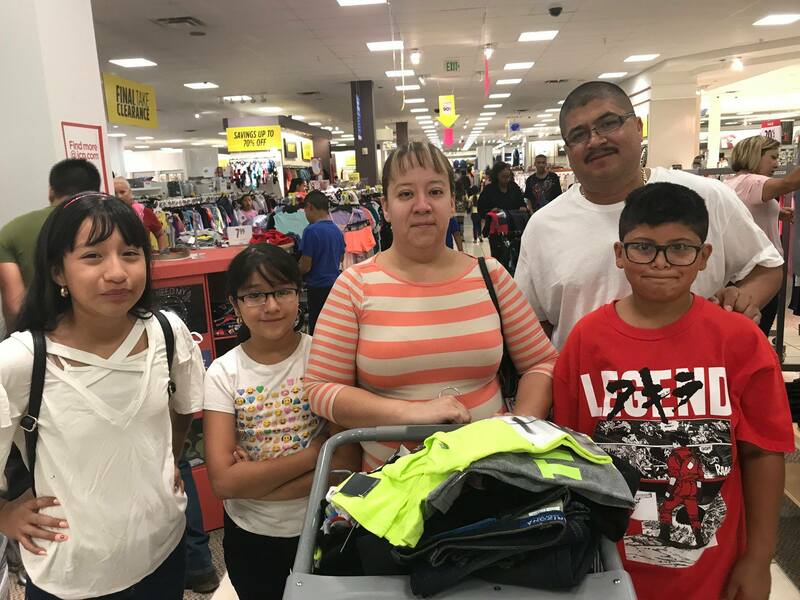 This program allows Assistance League Denver and Assistance League Auxiliary Denver to cloth and buy uniforms for students in Denver Public and Aurora Public Schools. Every dollar returns to the community!